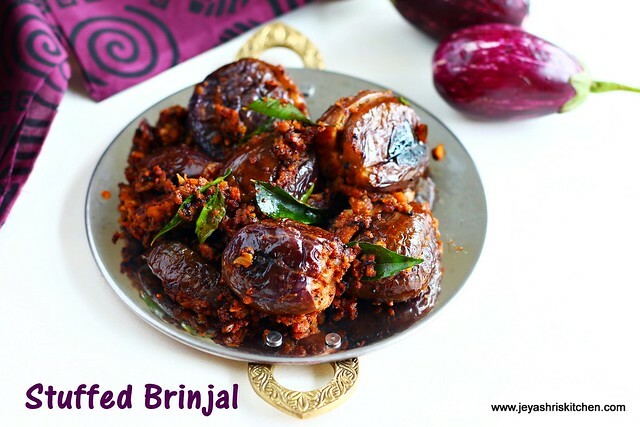 Brinjal stuffed with peanuts and other spices, perfect one to pair with rice and roti. This stuffed brinjals, i have never attempted before, i got tempted to try this after tasting this in my friend’s place . Though i like brinjals very much, i usually make brinjal curry out of it or i make Baingan Bhartha, with the it. 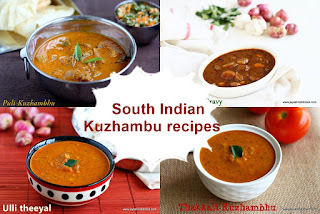 After tasting this at my friend’s place i decided to try this on my own and i did, and here comes the recipe. 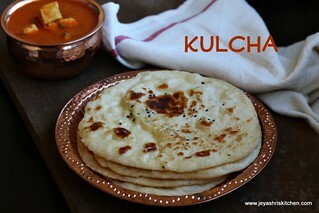 It came out really very nice.This goes very well with jowar roti. In a pan, add the peanuts and fry that till it turns brown, dont get it burnt. Allow it to cool and take out the skin by rubbing it.I used roasted peanuts. In a mixie, put the salt,coriander powder,redchilli powder,garam masala and garlic and add the peanuts to it. Cut the onions into fine pieces. Add the ground masala, to the onions and mix well. Wash the brinjal and pat dry it. Take out the top portion. Slit the brinjal and do not cut them fully. We need to stuff the filling into it. Stuff 1 tblsp of the filling into the slit eggplant. Stuff the masala inside the brinjals carefully, till the tip of the brinjal. Use it according to the size of the brinjal. Heat a kadai, put oil in the kadai and add the mustard seeds. When it splutters, add the stuffed brinjals carefully . Close it with a vessel filled with water. I used another kadai filled with water to close this. Turn the brinjals in between carefully without breaking them. When it is completely cooked remove from fire and serve hot with rice. 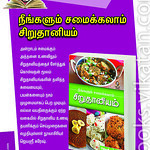 Garnish with curry leaves. We tasted this with rotis, in my friend’s place. love this recipe. 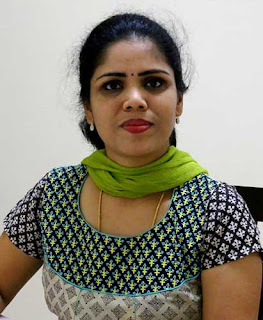 you made it so well Jeyashri. 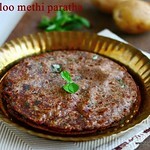 Looks mouthwatering!I would love this with rasam ,yumm! loved the first pic...and your step wise pics are always very useful...loved the stuffing too..
Nice & my hubby's fav curry.. My version is little diff, will try ur method.. thxs for the recipe..
You Know Jeyashri..my hubby is the the biggest eggplantaholic I have ever seen :D..so I am always on the look out for different eggplant recipes..I too make stuffed ones but this looks fantabulous..am book marking it..thanks for sharing! 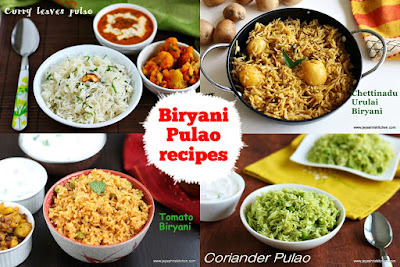 Lovely presentation for this brinjal recipe. Am literally drooling here rite now..wowww fantastic! 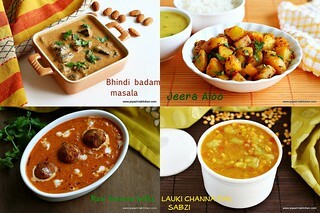 Looks so so delicious ..i love any kind of stuffed brinjals which is my very fav...peanut stuffing sounds interesting.. Loved the Stuffed Brinjals. You really prepared with such a good care that it has come out only too well. 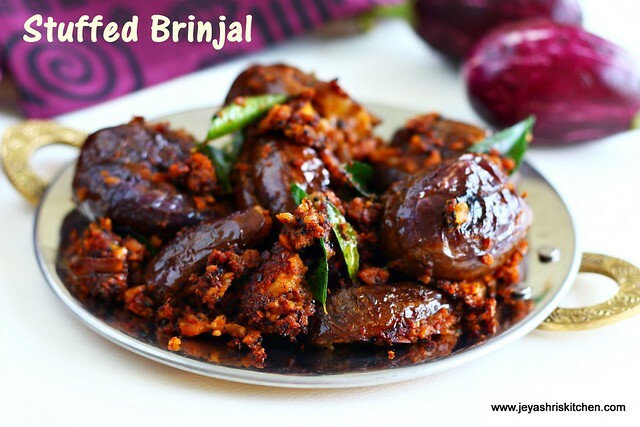 Stuffed brinjals look delicious Jeyashri,we enjoy eating it with rice and rotis. 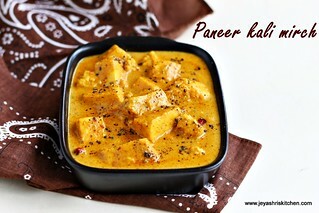 This is so yummy, love your version dear..
We've been getting excellent brinjals of late here.. and this looks amazing. Can't wait to try this.. I've only made gravy with stuffing not this dry curry. 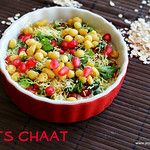 Awesome recipe..nice clicks..looks so perfect and yummy!! Delicious stuffed brinjal but loved the ingredients used to make it more delicious..
Wow so delicious stuffed brijals.. Photograph looks very delicious and tasty! A very good recipe! wonderful clicks . making me go crazy.. wish to have some now.